Woody Louis Armstrong Shaw III is a producer, cultural curator, archivist, and the administrative and artistic director of the legacies of his late father, trumpet innovator and composer Woody Shaw (1944-1989), and his step-father, legendary tenor saxophonist and Academy Award nominated actor Dexter Gordon (1923-1990). He is also founder of MOONTRANE MEDIA GROUP, LLC — a digital media, creative production, and arts management consulting company in New York City. Woody III received his B.A. in Ethnomusicology at Hobart College in 2001, during which time he studied ethnomusicology, Eastern religion and philosophy in India, Japan, and Vietnam. He received his B.F.A in Jazz Performance from New School University in 2004. He attended the Indiana University Jacobs School of Music’s graduate program in 2006-2007, serving as the Associate Instructor (T.A.) for department chair Dr. David N. Baker. Woody III went on to receive his Master's (M.A.) from Columbia University in Arts Administration with concentrations in business and arts law in 2015. While at Columbia he was awarded the William Randolph Hearst Fellowship, the Helen E. Richards Scholarship, the Teachers College Scholarship, and received support from the Michael Eisner Educational Fund. He has professional certification in Intellectual property law from New York University and in business from Columbia University. In 2014, Woody III was awarded the prestigious Hutchins Fellowship by the W. E. B. Du Bois Research Institute at the Hutchins Center at Harvard University. During this time he focused on the consolidation of over 20 years’ worth of historical research and documentation to preserve and extend the innovative musical legacy of his late father, legendary trumpet icon and composer Woody Shaw, Jr. (1944-1989). 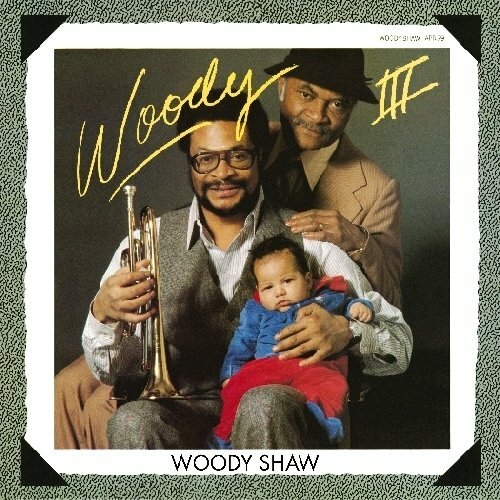 As of 2018, Woody III has begun producing and directing his first documentary film entitled WOODY SHAW: BEYOND ALL LIMITS, an exploration into the profound musical and intellectual breakthroughs of Woody Shaw (1944-1989) and an intergenerational memoir on the legacy of musical innovation and cultural preservation that has been passed down from father to son. Most recently in 2018, Woody III wrote the afterword for the new Dexter Gordon biography, entitled Sophisticated Giant: The Life and Legacy of Dexter Gordon, published by University of California Press (Nov 2, 2018).